Brand activation is a vital part of the marketing mix and it’s processes. If a brand wants to focus on engaging a customer, brand activation can help to build an emotional connection between the brand and its customer. 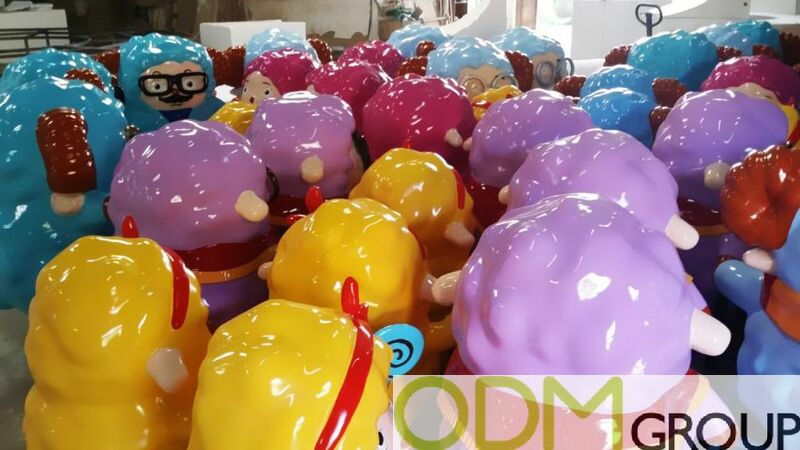 With this in mind these vinyl statues are a perfect idea for increasing brand activation, as they can be fun, eye-catching and can be personally designed to feature your brand. These statues are made to represent some famous East Asian cartoon and animation characters. In the image, the vinyl figures are made to resemble the characters of Pleasant Goat, One Piece’s Tony Tony Chopper, and Crayon Sinchan. 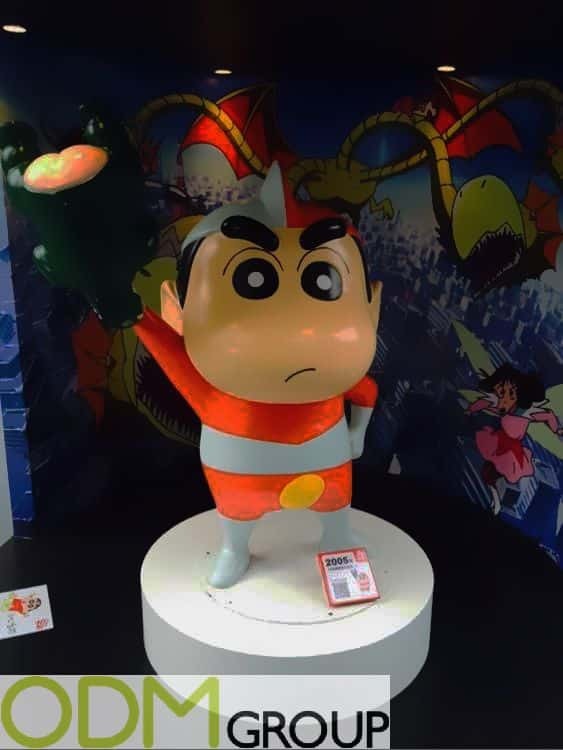 All of these characters are extremely popular in Hong Kong, China and Japan, especially among children and the younger generations. 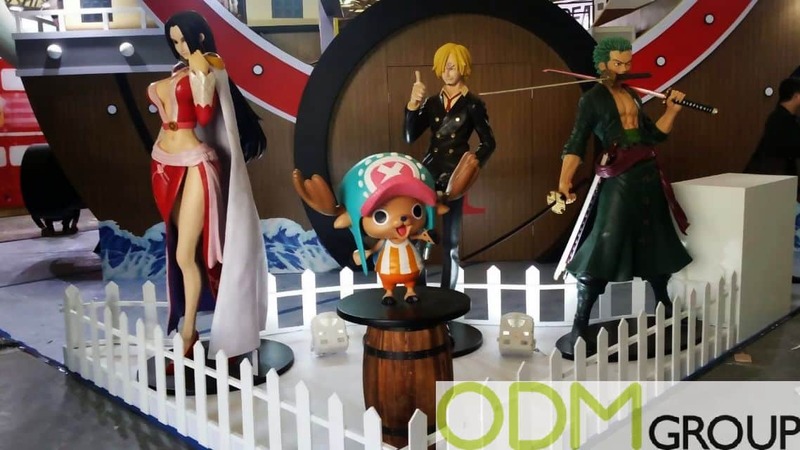 Furthermore, what’s great about these statues is that they can be used for a variety of promotions, they can be used manufactured for use during events, in store and POS displays, at exhibitions , this makes these vinyl statues diverse. Why are vinyl statues good for increasing brand activation? Brand Exposure. Vinyl statues are an effective way of showing people the fun side of your marketing. They are big and when laid out in a good easy to see display they will become attractive. For example, these figures are of famous children’s cartoon characters. Children especially, will be interested in taking pictures with these statues and it is this feature that will increase brand activation, as the child and parents will form a positive relationship. Design. These vinyl statues can be designed to show the colours of your brand, your brands logo, colours and any mascots. These make promotional statues diverse. Customer Retention. If customers see a vinyl statue, they will in the future when they see your product in store, purchase it. This is because vinyl statues are good visualisation and easy to remember. Here at ODM we specialise in designing promotional products and offer great creative services from our in house design team to bring product ideas to life, if you are interested in finding out more feel free to contact us.